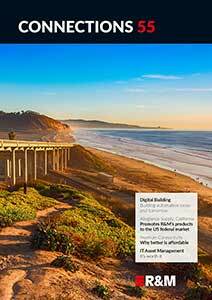 Cloud&Heat is turning the world of data centers around and pursuing new paths. This is how the world’s most efficient distributed data center and the first real-time-optimized edge cloud in Germany came into being. With Netscale from R&M, Cloud&Heat now knows how to ensure top port density. Project: Beta test of the R&M Netscale solution in the Cloud&Heat data center, 2016. Application: High-density FO infrastructure in the edge data center for cloud services. How about a data center in your basement as a heating system? Cloud&Heat Technologies GmbH is putting this unusual idea into practice to be able to pursue several goals at the same time. Buildings can be heated using the heat from the servers and that reduces CO2 emissions. By distributing the servers over a number of buildings, computer capacity spreads out to where low latency cloud resources are required. 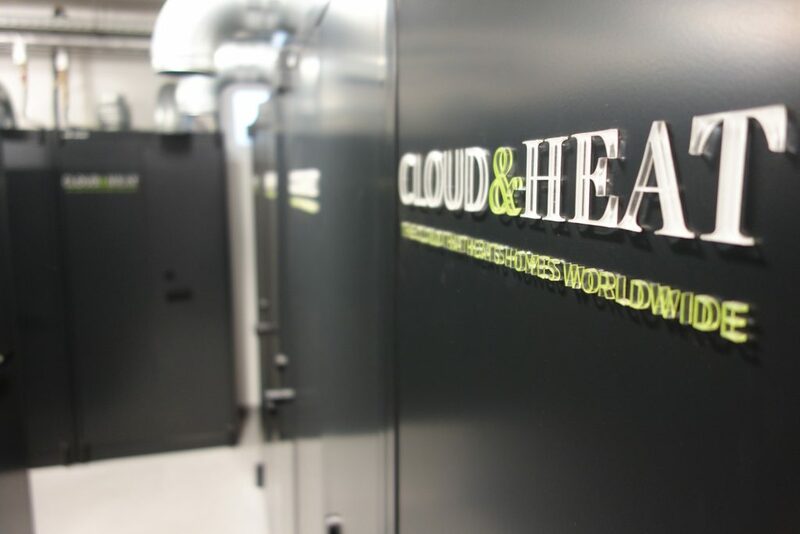 Cloud&Heat is aiming to realize the most efficient distributed data center in the world in terms of energy and costs as well as the first real-time-optimized edge cloud in Germany. However, the Cloud&Heat locations have very little space in their basements. The average data center space is somewhere between 20 and 30 m2. So Cloud&Heat has to find new installation solutions. The company depends on extremely compact, centralized and fully automated concepts. There is no other way of operating the remote locations. Compact construction, maximum port density: Netscale supports the Cloud&Heat architecture concept that requires maximum consolidation and reduction of switches and routers per location. 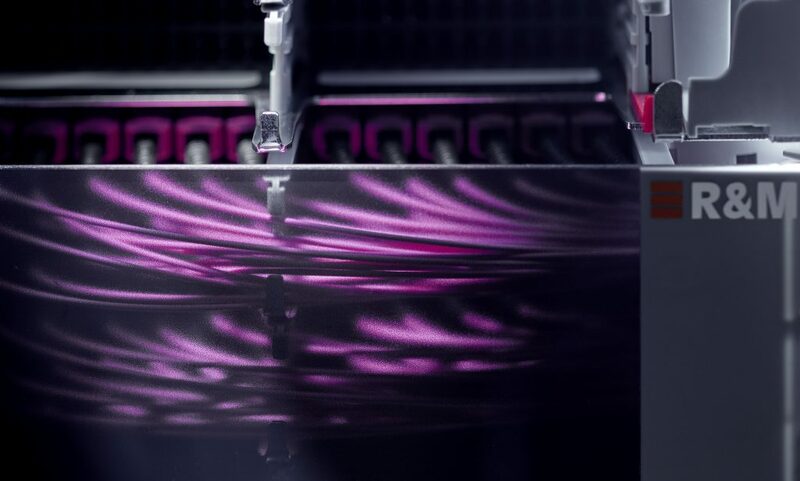 Scalability, opportunity for retrofitting: Netscale enables opportunity-driven link design. The cabling can be adapted to suit new requirements – to ensure the company can adhere to the principle: Pay as you grow. The migration of LC connectors for 10 Gigabit Ethernet (10G) to MPO connectors for 40G is easy to implement thanks to the modular principle. Simple installation: Depending on the location, the Cloud&Heat cabinets can be difficult to access from the rear. The Netscale patch panels can be assembled in a few, uncomplicated steps. The Rear Cabling Manager enables pre-installation of the FO connectors outside the cabinet. By implementing the high-density R&M cabling platform Netscale, Cloud&Heat is taking a massive step forward to achieving maximum efficiency in data center operation. “We have beta tested Netscale. 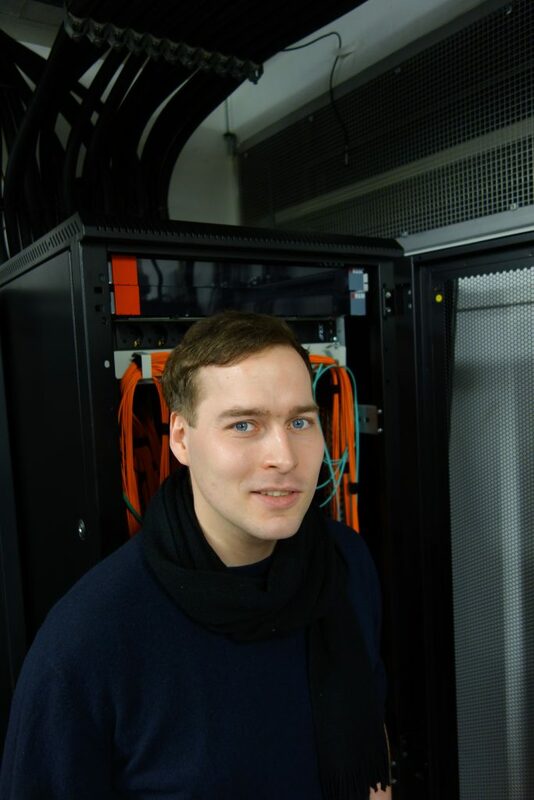 It can support us in the fully automated operation of our cloud,” says Dr. Marius Feldmann, COO at Cloud&Heat Technologies GmbH. In its challenging data center projects, Cloud&Heat depends on scalable fiber solutions that can be deployed in confined spaces. With up to 120 ports per height unit in the 19’’ rack, the R&M cabling system Netscale achieves the highest port density of all familiar products. The special architectural concept of Cloud&Heat can be implemented pragmatically with Netscale. Top of Rack (ToR) switches can be consolidated in the network cabinet and servers patched directly in the network cabinet. The switches can each be reconfigured at a central point. This is a sensible way of planning Software Defined Network (SDN) architectures. The concept reduces the probability of downtime because fewer active components are required.